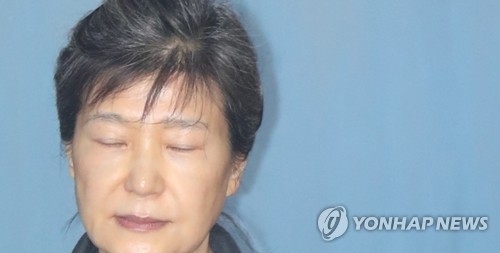 SEOUL, April 6 (Yonhap) -- Former President Park Geun-hye was sentenced to 24 years in prison and 18 billion won in fine on Friday in a massive corruption scandal that toppled her from power early last year. South Korea's first female president, who took office in early 2013, became the nation's first elected head of state to be ousted and now the third former leader to be convicted of corruption. Park did not appear in Friday's sentencing trial. She has been boycotting the hearing in protest of the court's October decision to extend her incarceration six months.